Looking for sporty Bluetooth headset for your active use? The South-Korean consumer electronics giant, Samsung has introduced its latest WEP-430 Bluetooth headset which designed specifically for active use. As what you see in the photo, this sporty bluetooth headset can wrap around your ear to make sure you won’t lost your headset during jogging or any sports activity. Besides, the new WEP-430 also features two microphones for optimum voice quality, echo reduction technology, Bluetooth 2.0, and has up to 5 hours of talk time while supports up to 110 hours of standby times. 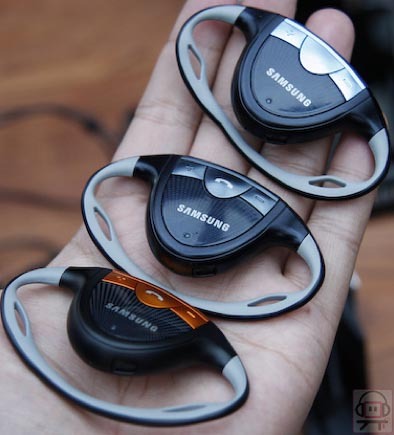 Anyway, the new Samsung WEP-430 bluetooth headset will available in 3 colours but still have no words on its price and availability yet.